MTAligner. This tool is similar to Align Tool on 3D Studio Max. 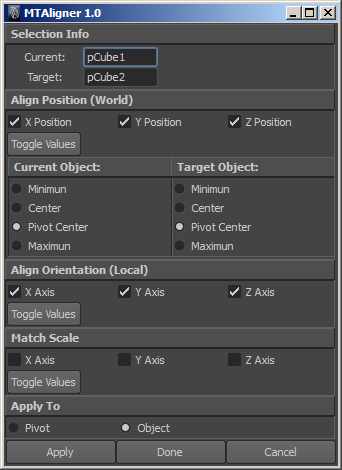 You can align position, rotation and scale of one object relative to another. MTRotator. 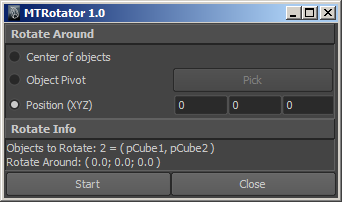 This tool is usefull to rotate any number of objects around one point, or other object or the center of all objects selected. MTKeyTransform. With this tool, in an animation, you can select a list of objects, after you can define a range of frames, and move and rotate selected objects in relation to the reference frame. MTRuntimeKeyTransform. 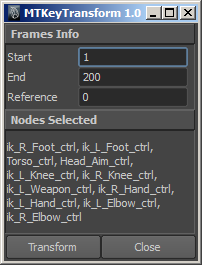 With this tool you can see on maya’s viewport the animation curve of one object, also you can see and modify the keyframes of the animation and see the result immediately. 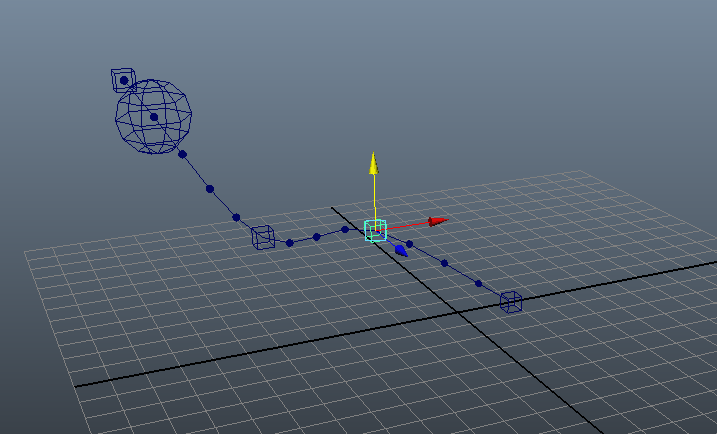 In the follow example, you can see an animation of a bouncing ball. 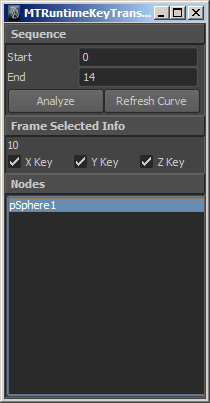 Little spheres shows the frames and the four cubes define the keyframes. When you move this keys, the curve and animation are modified.